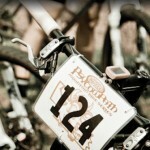 This weekend saw another great event hosted by Chris Locke of Cowtown Cycling. The 2013 edition of Bone Bender 3/6 hour mountain bike race was contested in high winds of 30-35mph sustained with 45mph+ gusts. 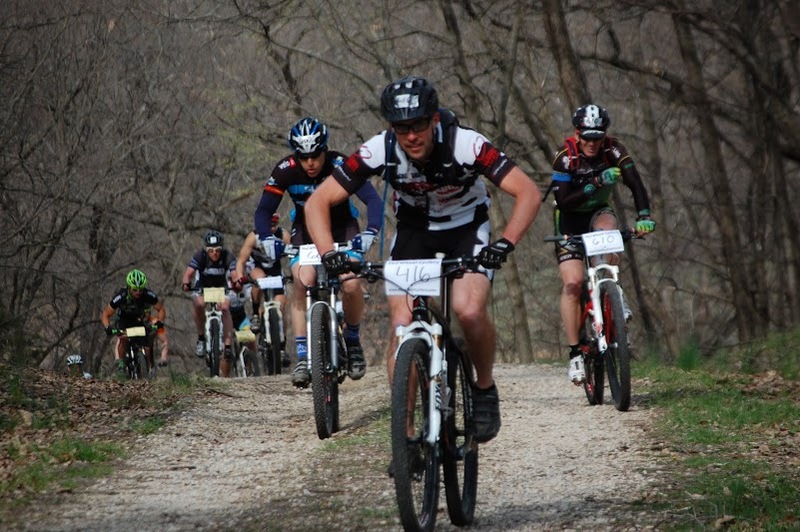 A healthy mountain bike scene in the area has been evident in the number of participants in this year’s events; over 150 riders turned out for Sunday’s Bone Bender 3/6 Hour Mountain Bike Odyssey. Riders had 3 and 6 hour options to choose from. On the men’s side of the 3 hour race, Mike Best came in with the fastest time of the day at 3:49:00. Roxzanne Feagan took the top spot in the women’s 3 hour open race with a time of 3:03:00. 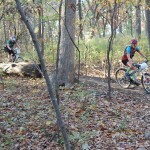 John Waller took the 3 hour single speed win with a time of 4:21:00. Those riders who demanded more punishment took the course for the 6 hour event. The duo of Brocket and Donn took the men’s team competition with a total time of 6:13:27 beating their nearest competitors by over thirty minutes. 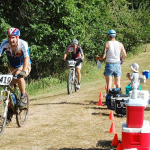 The men’s 6 hour open was won by Brad Auen with a time of 6:35:17 who was the only rider, aside from singlespeed winner Trevor Rockwell (6:46:34), to complete five laps of the course. Karen Holtman and Karen Brocket battled for the women’s 6 hour title with Holtman coming in 9 minutes ahead of Brocket on the final lap to take the win.